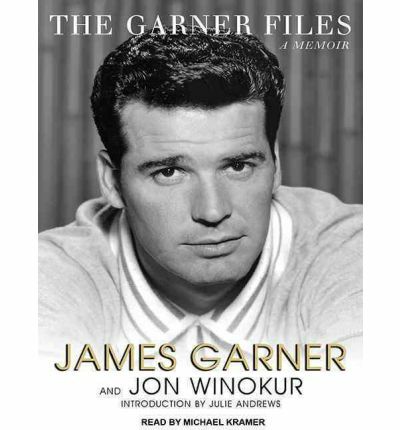 After suffering physical abuse at the hands of his stepmother, James Garner left home at fourteen. He became Oklahoma's first draftee of the Korean War and was awarded with two Purple Hearts before returning to the United States and settling in Los Angeles to become an actor. Working alongside some of the most renowned celebrities, including Julie Andrews, Marlon Brando, and Clint Eastwood, Garner became a star in his own right, despite struggles with stage fright and depression.In The Garner Files, this revered actor and quintessential self-made man recalls "trying to decipher" William Wyler with Audrey Hepburn and Shirley MacLaine, breaking Doris Day's ribs, having a "heart-to-heart and eyeball-to-eyeball" with Steve McQueen, being "a card-carrying liberal-and proud of it," and much more.This audiobook features an introduction by Julie Andrews read by Wanda McCaddon. About the Author: Michael Kramer has had the pleasure of narrating the works of many wonderful authors. He has received Audiofile magazine's Earphones Award for the Kent Family series by John Jakes and for Alan Fulsom's The Day After Tomorrow. He also narrates books for the Library of Congress's Talking Books Program for the blind and physically handicapped. Kramer also works as an actor in the many theatres of the Washington, D.C. area, where he lives with Kate and their two children, Henry and Vivian. Note: This Audio Talking Book is in mp3-CD data format. This signifies it will only play on CD players particularly set up to run mp3-CDs. It also can be installed onto a pc workstation and copied over to an assortment of mp3 players and played on them.